If you are a coffee drinker like me, you will surely understand the struggle of finding the right product in the market. It is easy to be lured with cheap prices and attractive packaging, but at the end of the day, it is still the quality that matters the most. You need to be intelligent enough to narrow down the possibilities. 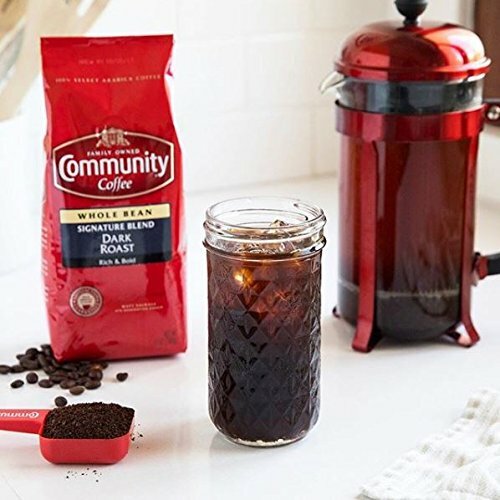 Read the rest of this Community Coffee review and we will let you know some of the top choices that are worth considering. We will also share with you some of the things that you can expect from each coffee, especially their flavor and aroma. We will also provide some practical tips in choosing a coffee that suits your preferences. Based in Louisiana, United States, Community Coffee is a family business that has been operating since 1919. It all started when Norman Sourage experimented with distinct blends in his two grocery stores. The name of the company comes from the appreciation to the local community, which has been instrumental in the success of Community Coffee. After four generations, and even if they are confronted with a stiff competition, Community Coffee remains steadfast in its vision and position in the market. In fact, in 2005, they have been recognized as the largest family-owned coffee brand in the United States. They have 850 employees at that time. To ensure the best quality of their products, they emphasize attention on details. From sourcing the coffee beans to packaging the final product, they make sure that stringent protocols are followed every step of the way. They also use the frameworks established by the Specialty Coffee Association of America to guide their production process. K-Cups, Ground Coffee, or Whole Beans? 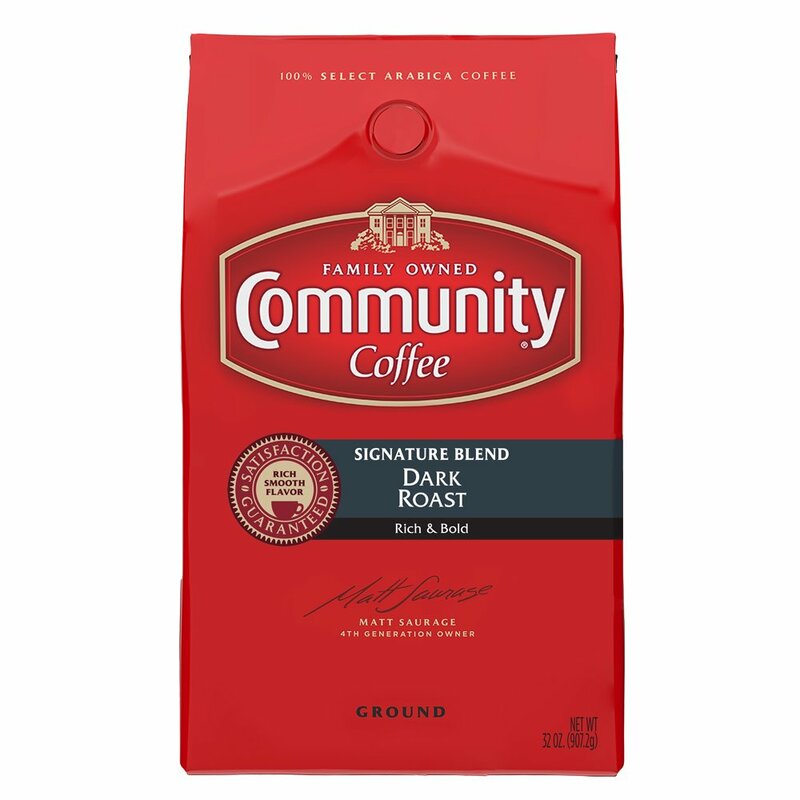 Community Coffee products are available in different forms. At the end of the day, it is your personal preferences that will dictate which one is the best. If you are clueless on how to choose, this section will clarify the differences between the three. Whole beans, on the other hand, are known for their versatility. You can grind them on your own. You will decide how coarse or fine they will be. Plus, they can stay fresher longer compared to ground coffee. However, one problem is that you will need to invest in a grinder. Plus, grinding the beans can require effort and time on your end. If speed and convenience are what you are looking for, it is best to choose ground coffee. This will allow you to prepare your caffeine fix in an instant. No more need to grind beans. No need to have a brewing system that is available in K-cups. 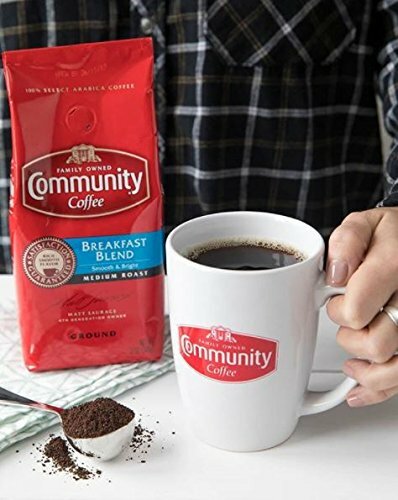 Community Coffee wants to make sure that there is a coffee that will work well for everyone. For this reason, their products are available either as caffeinated or decaffeinated? Which one is the better choice for you? For many people who love coffee, they like it caffeinated. It can offer several benefits, such as alertness and concentration. It is the perk-me-up drink of choice for many people. Nonetheless, caffeine also has its drawbacks. It can lead to nervousness, palpitation, insomnia and agitation, among others. As an alternative, you can opt for coffee that is decaffeinated. 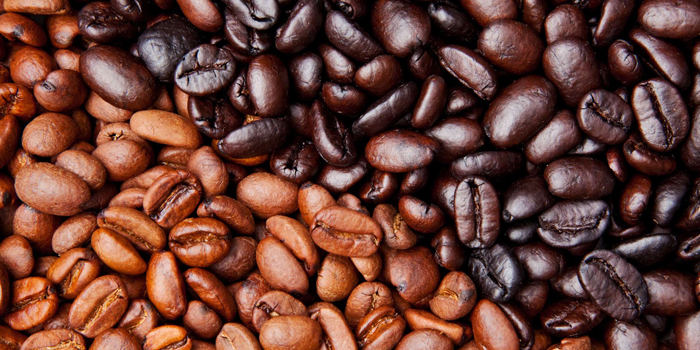 Using water or solvent, caffeine is removed from the beans before they are processed. In the end, you will have a drink that is lighter and milder. This is a safe choice for most people, especially for those who drink more than a cup a day. Light, Medium, or Dark Roast? Another important consideration is the roasting level of the coffee. 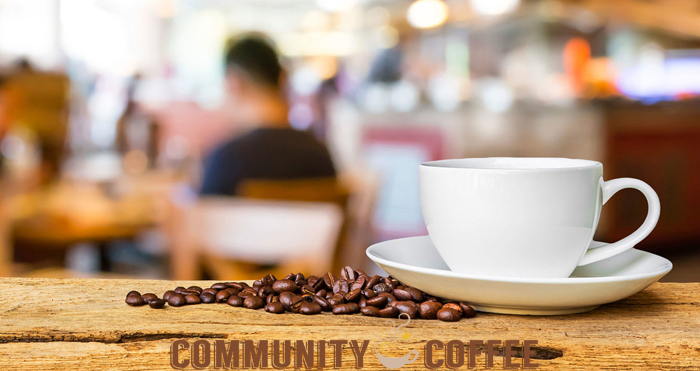 If you buy from Community Coffee, the label will clearly indicate what type of roast is the product. Be familiar with the different roasts so that you can pick a coffee that perfectly suits your preferences. For a light roast, most of the original characteristics of coffee are retained. It has the highest acidity and it will taste like it is toasted grain. Also, because they have undergone minimal roasting, they also tend to have a higher level of caffeine compared to others. To each his own, that is what they say. However, if you want to enjoy coffee’s flavor and aroma that is not too powerful, I would suggest that you settle with light and medium roast. They have more character in them and they will be more fragrant. You can enjoy every sip without being too bitter. 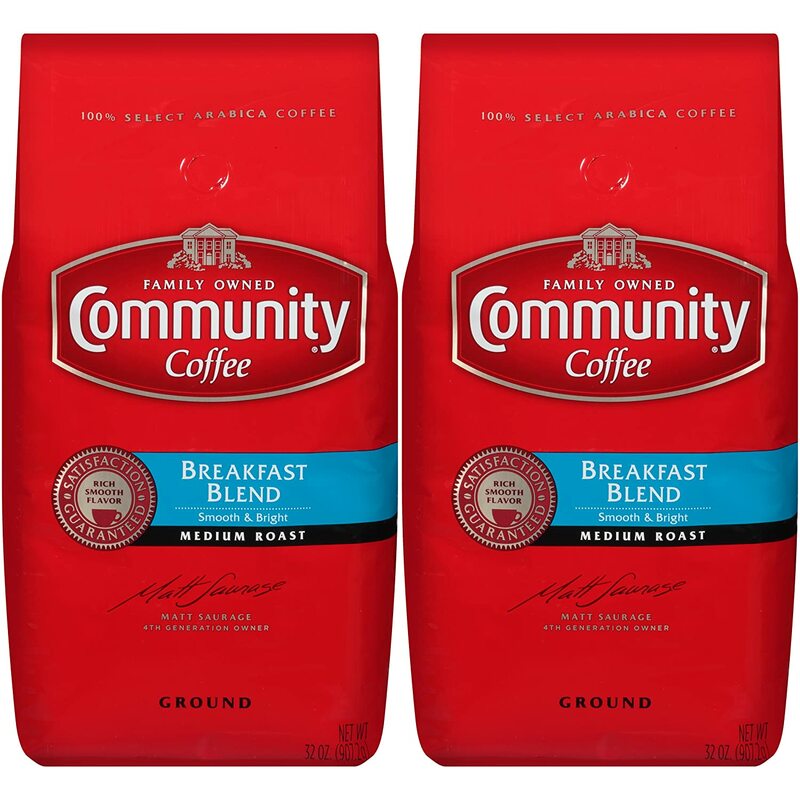 Finding it hard to decide which Community Coffee can provide the best bang for the buck? This section will provide you with a quick look at five of the products that can possibly provide the best caffeine fix for you. The first thing that you have to know about this product is that it comes in the form of K-cups, which means that you will need a Keurig brewer. The good news is that you no longer need to estimate how much coffee is needed for every cup. No guesswork, only the perfect cup all the time. It has a deep and dark roast, which is also the one that is responsible for its full-bodied flavor. This is an ideal choice for people who like their coffee to be strong. In every sip, you can taste nothing but high-quality caffeine. Why is the flavor so robust? What makes it a great choice for a coffee? While there are many reasons for the latter, one that is worth noting is the fact that it is made from 100% Arabica beans. They are carefully selected to ensure optimal flavor in every K-cup. If you find your coffee to be too acidic, this can offer the perfect alternative. With low acidity, you can have as much as you want without the need to worry of having grumbling stomach. Despite being a dark roast coffee, there is not much pronounced bitterness that you can expect from this product. In fact, some people find it lighter than other dark roasts. Nonetheless, you will feel the caffeine kick with every sip. The blend that started it all – this is how the company describes this product. It is one of their first offerings and it did not disappoint. It has perfectly-balanced flavor and aroma. There are some people who complained about the coffee being stale. This is probably a result of not storing the coffee properly. Some people may notice that the coffee seems flat. The reason for this is because of its low acidity, which also makes it not as tangy as others. This Breakfast Blend is exactly what you need to get your day started. Other people noted that it is a bit weak, but it is probably because they did not store the coffee properly, which resulted to the loss of flavors and aroma. In reality, it has a robust flavor that will help you to kickstart your day and have the energy to become more productive. As this is ground coffee, it is ready to be used anytime and anywhere. You can bring it in the campsite or wherever you are outdoors. With hot water, you are good to go. No need for complicated tools. You do not have to grind beans. Lastly, with this coffee, you will have a fragrant and mild caffeine fix. Its flavor is not as pronounced as other darker roasts, but the good thing is that its smell is sure to wake up your senses, which is exactly what you need to get your day started. This is the same as the coffee that has been mentioned above, with the only difference being the fact that it comes in a smaller packaging. This is also the reason why it is cheaper. It is a great way to sample the blend first before moving to a larger packaging. Being made from 100% Arabica beans, you can be assured that the flavor and aroma will be noticeable. It may not be as strong as those that are made from Robusta beans, but it is sure to not disappoint, especially if you are a light coffee drinker. If you are looking for an aromatic coffee, this should be on the top of the list. The flavor may not be as pronounced as the dark roasts, but the smell is incomparable. This will be the perfect way to wake up to a great day ahead! This is different from the four other products mentioned above in the sense that it is in the form of whole beans. The latter simply means that you need to grind it before making your own coffee. It requires quite an effort, but we love the fact that it is versatile. You can choose the fineness or coarseness depending on how you intend to use your coffee. Since it is a dark roast, it may not satisfy the palate of everyone. It has a robust flavor that others may find too strong. For other people, meanwhile, it is the perfect choice as they are looking for a strong caffeine fix. The beans are 100% premium Arabica. They are sourced from the best regions in the world, which should be more than enough to provide you with the assurance that it will deliver a great taste. By now, I hope that this Community Coffee review was able to provide you with insights that will be helpful in making the right decision. 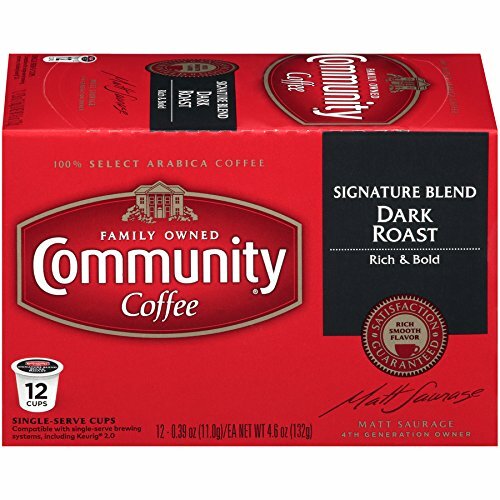 If you were to ask for my personal opinion, I would say that Community Coffee K-Cup Pods, Dark Roast is the clear winner. It is in K-cups, has a full body, low acidity, and rich flavor.